Elizabeth in about 1826, and Anna on September 15, 1833.
immigrated from Darmstadt,Baden, Germany to the United States. brown beard, brown eyes, large build, teeth in bad shape, and married. Elizabeth (10-15),Barbara (30-40), George (15-20), and Adam (40-50). 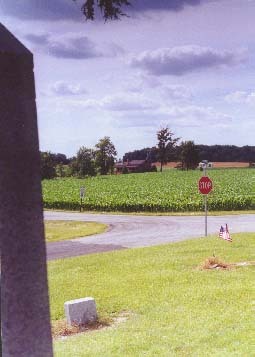 East Roads in southern Sharon Twp. 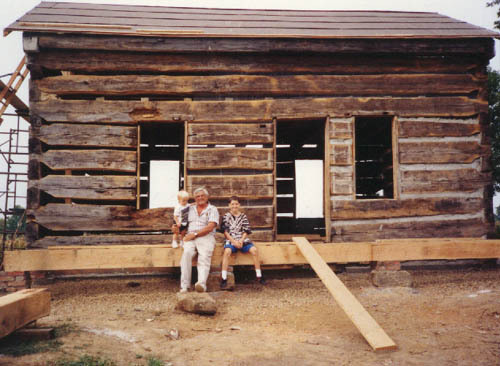 and Audrey (Weaver) Dotson began their restoration of Adam's original log cabin. 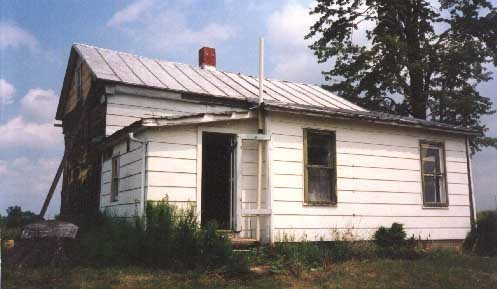 House as it appeared when purchased in 1988.
was born, to be followed about 2 years later by a fourth daughter, Mary. States and his high moral character and obtained his citizenship papers. 1850 Ohio Census, Richland County, Sharon Twp. 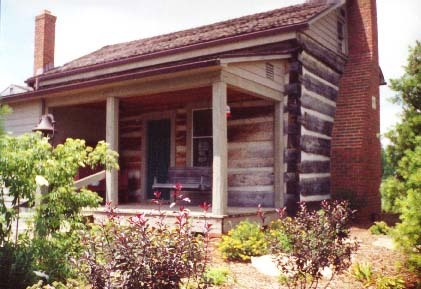 in 1857, George and Anna moved to Allegany County, Michigan. Another son, Charles was born in Michigan in 1859.
who was born May 03, 1833, on December 26, 1859 in Shelby, Ohio. 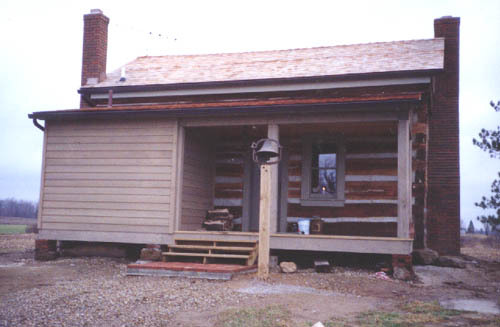 property and the log cabin he had lived in for 23 years. at the Nazor - Schwartz Cemetery. 1. George and Eliza Frank were living across the road from the original Frank Home. 2. Elizabeth, wife of Jacob Beckel, had died. 3. Adam and Anna Frank Stephan, were living in Crestline, Ohio. 4. Adam and Barbara Frank Huber were living in Crestline, Ohio. 5. Henry and Mary Frank Wirtz were living down the road to the west of George Frank. members of his "family" congregated here for the most recent Frank reunion. 1 The idea for this photo sequence was provided by Maxine Thomas who previously used the same photos (provided by Clint and Audrey Weaver / Dotson) to illustrate the same event. If you're interested in adding your Shelby Pioneer Family, or making additions or commenting on the items on this page, please contact us.